Learn to become a Pilates Instructor at Pearl Pilates! Learn the classical mat work of Joseph Pilates. This course teaches you to design, teach and modify beginning, intermediate and advanced level classes, integrating small props to add variety and to meet the specific needs of your clients. Read below to learn details about the course including apprentice hours and fees. Email or call Jeanni Chrisman at 503.320.9971 to register! 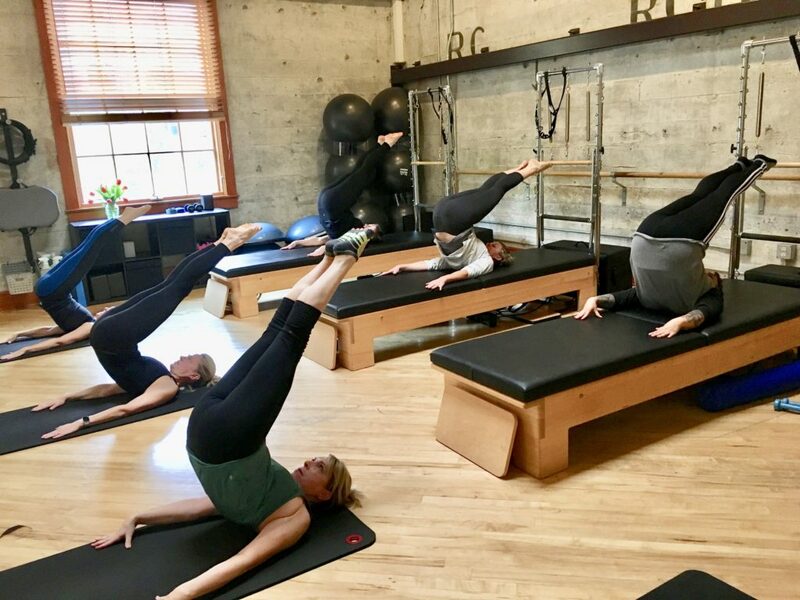 Our comprehensive mat training consist of two training intensives (5 total days) in which you will learn all Pilates Matwork exercises, Levels 1 -5, as well as modifications and variations for each exercise. You will also learn how to use small props to either intensify an exercise or make it easier depending on your client’s need. This course meets all industry standards for certification purposes. Momentum is a nationally recognized certifying body. This course may be taken for PT/OT CEU’s as well as other disciplines. • If Pilates classes are not available in your area, we can recommend books or videos for self-study. ➢ Course materials available through Momentum with significant trainee discount. ➢ Course is divided into 2 segments to allow integration and practice of initial material. • For CECs, attendance of all 5 days required. Certificate of attendance provided. • For certification purposes, an additional 90 apprenticeship hours are required. Registration due 30days prior the first day of Intensive One. ➢ The certification exam is written, practical, and oral.